Marketing has changed dramatically over the last many years and the popularity of online marketing and a personalized way of marketing have all become a top rage among marketers these days. As the popularity of the print media and the conventional billboards are waning marketers are on a mad scramble to find advertisement options that will actually work. Promotional products are popular and effective even today and the trend is likely to continue for a long time. 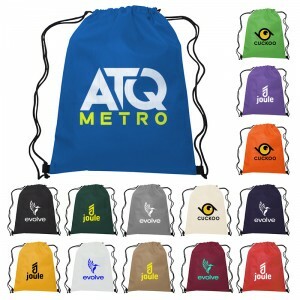 So, if you have been looking for a promotional product that your recipients will actually love and will get your brand on display, then look no further than these ever popular custom drawstring bags. Drawstring bags that can be worn as backpacks or slingbags are highly functional and can hold just about anything that your recipients want to carry. 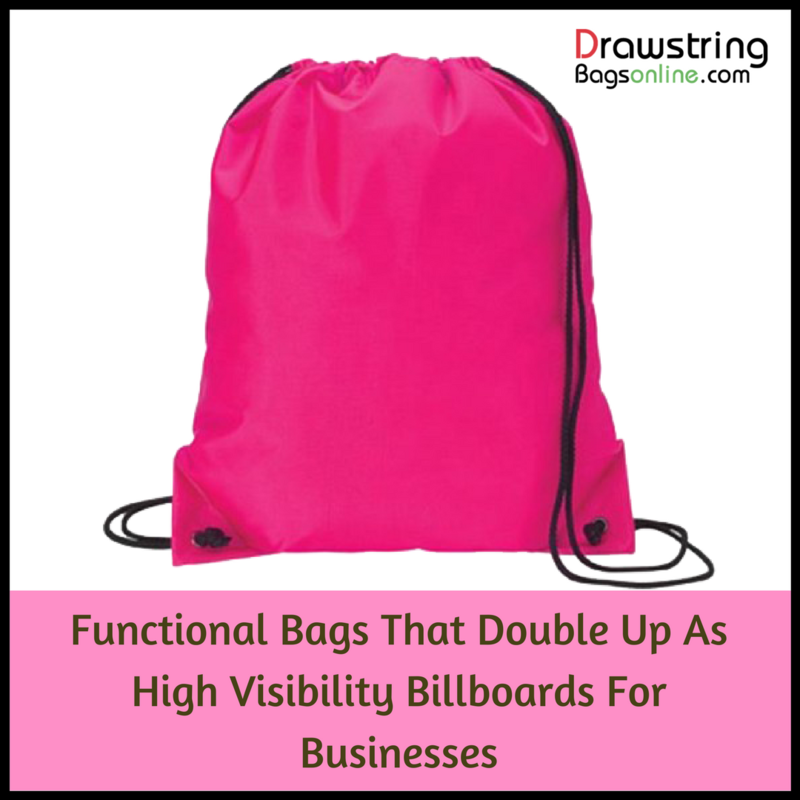 The generous imprint area of these bags will get your brand out in the marketplace. 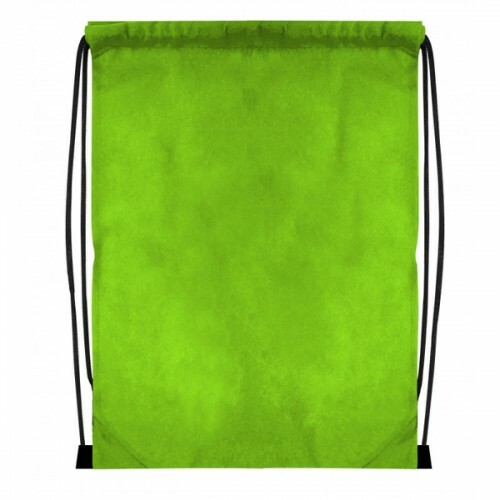 Available in several attractive colors, drawstring bags make impressive billboards for your brand and message. 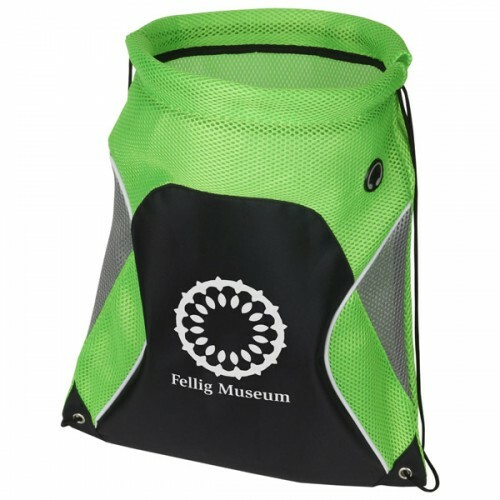 The functional features of these custom bags will make it a highly useful promotional item for your recipients. Every time they use it in public, your brand and message on these will enjoy a wide angle display. 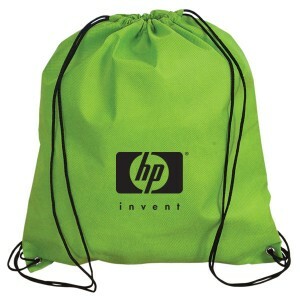 Make sure to brand drawstring bags in such a way to turn its popularity to your advantage. Try to distribute as many drawstring bags as possible as the more viral the product gets the more will be your brand display in the public. 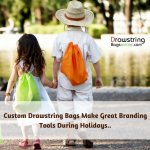 Sling bags can be used as laundry bags, overnight bags or backpacks and it is this versatility that makes these logo bags a red hot choice among marketers as custom gifts. The earliest known pouches date back to Egypt where records of people using decorated pouch bags can be traced to as early as the 14th century. During civil wars, pouches were used to store bullets, food items and flint for the soldiers. The pouch bags have undergone little transformation over the years and even today the design remains the same with just the materials used have changed. 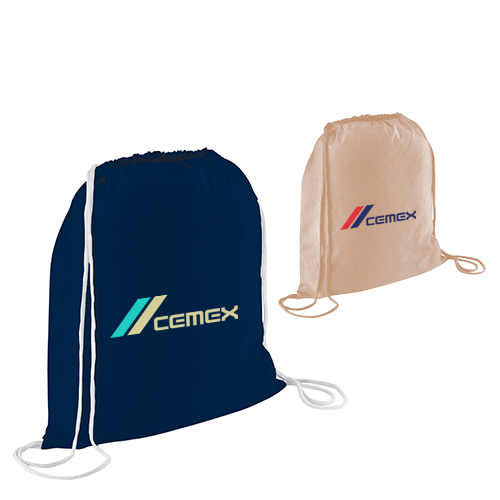 Drawstring bags are available in various materials including nylon, non-woven polypropylene and cotton among others and these make excellent handouts for tradeshow, fashion events and conventions among others. 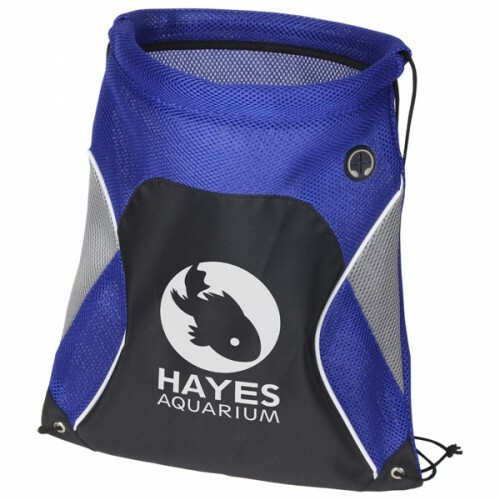 Here are some of the top selling drawstring bag models that you will find interesting. Condor Cotton Drawstring Backpacks: The attractive design of these backpacks will make it a perfect holiday gift idea. The attractive color choices of these custom condor cotton drawstring bags will make a perfect gift for value building all through the year. The spacious design and attractive color choices will make it a favorite among your recipients while the easy visibility of business information imprinted against it will make it a powerful marketing tool for marketers. Bulk orders carry the best deals. 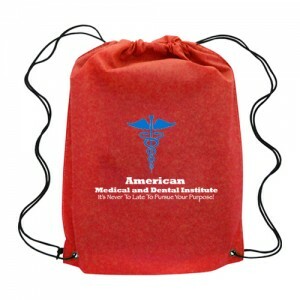 Non Woven Polypropylene Drawstring Backpacks: Steal the show without breaking your bank with these custom custom non woven polypropylene drawstring backpacks. The simple and attractive design will make it a perfect choice for gym and sports stands while the attractive color choices will make the information imprinted against these well spotted. Globetrotter Mesh Drawstring Backpacks: This custom globetrotter mesh drawstring backpack will make a great promotion gift for recipients who are on the move. A favorite among holiday makers and travelers, these good looking bags have ample storage space and a sturdy design that will make their promotional message stand out on these bags. We have a lot more of drawstring bags in our stock. Why don’t you enjoy the fun of shopping at our stores by picking up custom bags that complement your theme and budget? Should you need any tips, please feel free to contact us.